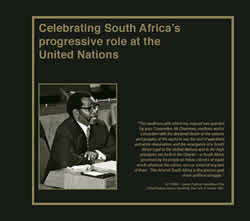 Celebrating South Africa's progressive role at the United Nations. Presidential Inauguration 2019. The Presidency of the Republic of South Africa has announced that the inauguration of the President-Elect will take place on Saturday, 25 May 2019 in the City of Tshwane. Voting Abroad in the 2019 National Elections – 27 April 2019. 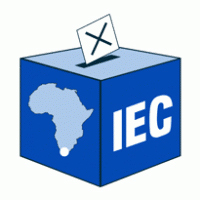 Voting abroad is scheduled for Saturday 27 April 2019 from 7h00 to 19h00 at embassies, high commissions and consuls of the RSA. 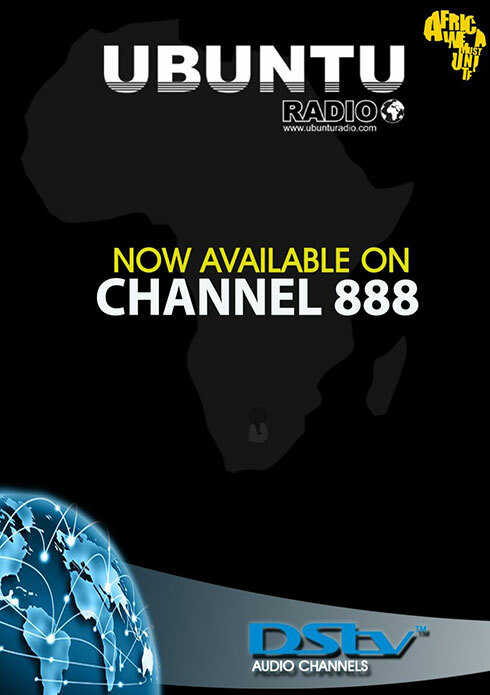 The date of voting abroad is not on the same date as voting inside of the Republic of South Africa on 8 May 2019. The Deputy Minister of International Relations and Cooperation, Ms Reginah Mhaule, will on Friday, 26 April 2019 host a Youth Outreach Programme at Hebron Madibeng Local Municipality, North West. Final Communiqué of the AU Troika Committee and the AU High-Level Committee on Libya, in Cairo, Arab Republic of Egypt, 23 April 2019. At the invitation of President of the Arab Republic of Egypt and the current Chair of the African Union HE President Abdel Fattah Al-Sisi, Cairo has hosted Summit-level meeting the AU Troika Committee and the AU High-level Committee on Libya to address the situation in Libya. 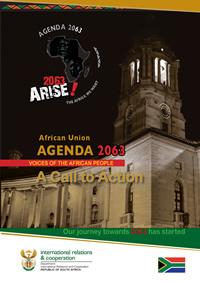 South Africa calls for a united UN Security Council in dealing with violence against women. South Africa has called on members of the United Nations Security Council (UNSC) to work in concert to comprehensively deal with violence against women, which is one of the most pervasive human rights violations during times of conflict. Statement by South Africa during the United Nations Security Council Open Debate on Women, Peace and Security: Sexual Violence in Conflict, 23 April 2019. At the outset, allow me to congratulate you, Minister Heiko Maas, and the Permanent Mission of Germany for organising this debate. President Ramaphosa undertakes Working Visit to Arab Republic of Egypt. President Cyril Ramaphosa has today, 22 April 2019 departed South Africa to undertake a Working Visit to the Arab Republic of Egypt to attend an emergency African Union (AU) Troika Summit convened to discuss the political and security situations in the Republic of Sudan and Libya. President Ramaphosa sends condolences to the people and Government of Sri Lanka following terrorist attack. On behalf of the South African people and Government, the President of South Africa, His Excellency, Cyril Matamela Ramaphosa, has conveyed condolences to the Government and the people of the Republic of Sri Lanka following terrorist bombings of several churches over the Easter Weekend that claimed the lives of over 200 people. Foreign Policy Review Report, 17 April 2019. 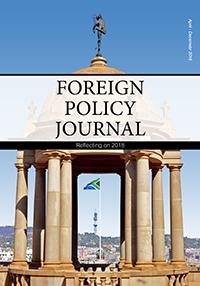 Foreign Policy Review: a strategic reflection and critical appraisal of the orientation and implementation of South Africa’s foreign policy. 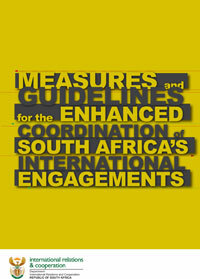 The Minister of International Relations and Cooperation, Lindiwe Sisulu, will tomorrow, 17 April 2019, receive a final report from the Ministerial Review Panel on its review of South Africa’s foreign policy. Statement by Ambassador Jerry Matjila, Permanent Representative of South Africa to the United Nations, during the Security Council Meeting on the United Nations Mission in Darfur (UNAMID), 17 April 2019. We would like to express our appreciation to you for convening this meeting. Statement by Ambassador Jerry Matjila, Permanent Representative of South Africa to the United Nations, during the Security Council Meeting on Yemen, New York, 15 April 2019. Thank you for convening this meeting on the humanitarian situation in Yemen. Keynote Address by L N Sisulu, MP, Minister of International Relations and Cooperation at the Dr Phyllis Naidoo Memorial Lecture, Senate Chamber I, Westville Campus University Of Kwazulu-Natal, 12 April 2019. 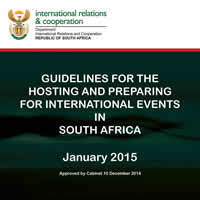 “Key International Relations issues facing South Africa”. It is an immense pleasure for me to address the Dr Phyllis Naidoo Memorial lecture today. The Minister of International Relations and Cooperation, Lindiwe Sisulu, will on Friday, 12 April 2019, deliver the keynote address at the 2019 Dr Phyllis Naidoo Annual Memorial Lecture at the University of KwaZulu-Natal. RSVP : by Thursday, 11 April 2019 to Kgopotso Rapakuana, rapakuanak@dirco.gov.za or 073 058 3876. Statement by Ambassador Jerry Matjila, Permanent Representative of South Africa to the United Nations, during the UN Security Council Meeting on the humanitarian situation in Venezuela, 10 April 2019. My delegation wishes to welcome the Secretary-General to the Council. The Malawi Government thanks the people of South Africa for relief donations. The South African Government has handed over relief donations from South African companies, religious organisations and ordinary South Africans to the peoples of Mozambique and Malawi. Minister Lindiwe Sisulu and the Minister of Police, Bheki Cele, meet with the Heads of the Diplomatic Missions representing African countries in South Africa, 5 April 2019. The Minister of International Relations and Cooperation, Lindiwe Sisulu, and Minister of Police, Mr Bheki Cele, will tomorrow, 05 April 2019, meet with the Heads of the Diplomatic Missions representing African countries in South Africa. Deputy Minister Luwellyn Landers delivers a keynote address for the Public Lecture on South Africa's priorities in the United Nations Security Council, Ethekwini City Hall, Durban, South Africa, 5 April 2019. 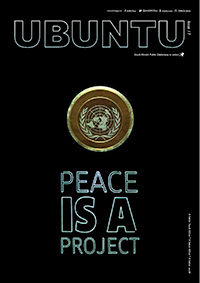 Statement by Deputy Minister Luwellyn Landers, Deputy Minister of International Relations and Cooperation, at a Public Lecture on South Africa’s two-year non-permanent membership in the United Nations Security Council (UNSC), 05 April 2019, Durban. I wish to begin by thanking you for joining us today at this public lecture convened by the Department of International Relations and Cooperation (DIRCO) in collaboration with the African Centre for the Constructive Resolution of Disputes (ACCORD). The Deputy Minister of International Relations and Cooperation, Mr Luwellyn Landers, will on Friday, 05 April 2019, deliver a Public Lecture focusing on the priorities identified by South Africa for its two-year tenure in the United Nations Security Council (UNSC). Keynote Address by Minister Lindiwe Sisulu at the Mid-Term Meeting of the BRICS Business Council, Johannesburg, South Africa, 4 April 2019. Keynote Address by the Minister of International Relations and Cooperation, HE Ms LN Sisulu, at the Mid-Term Meeting of the BRICS Business Council, Johannesburg, 4 April 2019. 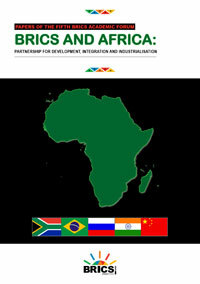 I must preface my address by congratulating the newly appointed South African BRICS Business Council. Keynote Address by L N Sisulu, MP, Minister of International Relations and Cooperation to the South African Institute of International Affairs (SAIIA), Johannesburg, 3 April 2019. I am glad for this opportunity to finally formally make your acquaintance. We have had an extremely difficult schedule since our mid-term re-arrangement of government, so it has been a rough ride for us. The Minister of International Relations and Cooperation, Lindiwe Sisulu, will address members of the South African Institute of International Affairs (SAIIA) on South African foreign priorities and key international events. Statement by Ambassador Jerry Matjila, Permanent Representative of South Africa to the United Nations, during the Security Council Debate on the situation in Haiti, 3 April 2019. We welcome and support the innovation of Germany with the introduction of time keeping measures and opening of the curtain in the Council Chamber, we hope that this will translate into and lead to more transparency of the Council and its ultimate reform as most UN Member States have demanded, particularly, we in Africa. President concludes Working Visit to Equatorial Guinea. President Cyril Ramaphosa concluded a working visit today, Tuesday 02 April 2019, to the Republic of Equatorial Guinea where he held talks with his counterpart, His Excellency Obiang Nguema Mbasongo, President of the Republic of Equatorial Guinea. Remarks by Deputy Minister L. Landers on the occasion of the GRULAC Luncheon, DIRCO, 2 April 2019. Allow me the opportunity to extend to your esteemed selves fraternal greetings on behalf of the People and Government of South Africa. It is my great honour and privilege to address you this afternoon on this august occasion. Statement by Ambassador Jerry Matjila, Permanent Representative of South Africa to the United Nations, during the Security Council Briefing on the Treaty on the Non-Proliferation of Nuclear Weapons (NPT), Tuesday, 2 April 2019. We highly appreciate that you are presiding over this timely and relevant discussions on the Treaty on the Non-Proliferation of Nuclear Weapons (NPT), just a few weeks before the start of the third NPT Preparatory Committee on 29 April. South Africa joins the international community in expressing concerns on the United States (US) Administration's decision to recognise Israel’s sovereignty over the Syrian Heights. South Africa joins the international community to express its concerns on the recognition by the United States (US) of the Syrian Golan Heights as part of Israel’s sovereign territory. President Ramaphosa condemns violence against foreign nationals. President Cyril Ramaphosa has condemned violence against foreign nationals in South Africa and called on law enforcement agencies and law-abiding citizens to identify perpetrators and bring them to book. The Minister of International Relations and Cooperation, Lindiwe Sisulu, and Minister of Police, Mr Bheki Cele, will tomorrow, 01 April 2019, meet with the Heads of the Diplomatic Missions representing African countries in South Africa. Minister Sisulu to meet with African ambassadors on violence against foreign nationals. The Minister of International Relations and Cooperation, Lindiwe Sisulu, has called an urgent meeting of African ambassadors to discuss the current spate of violence against foreign nationals and their properties. Minister Sisulu to travel to Mozambique and Zimbabwe to hand over donations to victims of Cyclone Idai International Relations and Cooperation Minister, Lindiwe Sisulu, will tomorrow, 28 March 2019, travel to Mozambique and Zimbabwe to hand over donations aimed at assisting victims of Cyclone Idai. Minister Lindiwe Sisulu extends message of condolences to Buthelezi family. The Minister of International Relations and Cooperation, Lindiwe Sisulu, has this morning extended her heartfelt condolences to the Chief of KwaPhindangene, Prince Mangosuthu Buthelezi, former Minister of Home Affairs and leader of the Inkatha Freedom Party following the untimely departure of his wife, Princess Irene Buthelezi. Declaration from SADC Solidarity Conference with Western Sahara, 26 March 2019. [PDF] We, The Heads of State and Government or representatives of the following SADC Member States RECALLING the decision of the Southern African Development Community (SADC) Summit of August 2017 to hold a Solidarity Conference as a means of expressing SADC Member States’ support for decolonisation and self-determination for Western Sahara on the basis of the values and principles that have guided the quest for independence throughout Africa. Statement by His Excellency Dr. Hage G. Geingob, President of the Republic of Namibia and Chairman of the Southern African Development Community, on the occasion of the SADC Solidarity Conference with Western Sahara, Pretoria, South Africa, 26 March 2019. I would like to thank His Excellency President Cyril Ramaphosa, the Government and the People of South Africa for accepting to host this landmark conference and for the wonderful hospitality accorded to my delegation and I, since our arrival here in the historic city of Tshwane. President Cyril Ramaphosa at the SADC Solidarity Conference with the Sahrawi Arab Democratic Republic (SADR) or Western Sahara, Pretoria, South Africa, 25-26 March 2019. Welcome Remarks by President Cyril Ramaphosa on the occasion of the SADC Solidarity Conference with the Saharawi Arab Democratic Republic, OR Tambo Building, Tshwane, 26 March 2019. On behalf of the people and government of South Africa I would like to welcome you to our country. We are honoured to be hosting this historic act of solidarity with the Saharawi people. Minister Lindiwe Sisulu at the SADC Solidarity Conference with the Sahrawi Arab Democratic Republic (SADR) or Western Sahara, Pretoria, South Africa, 25-26 March 2019. Statement by the Permanent Mission of South Africa to the United Nations during the Security Council Meeting on the Middle East including the Question of Palestine, 26 March 2019. I would like to join others in thanking the Special Coordinator for the Middle East, Mr Mladenov for his briefing on the developments in the Middle East. Minister Sisulu says the time has come for the people of Western Sahara to exercise their right to self-determination through a referendum. The Minister of International Relations and Cooperation, Lindiwe Sisulu, has told the Southern African Development Community (SADC) Ministers that the SADC Solidarity Conference with Western Sahara “serves to remind us of what we have always believed, that until the last colony, the Saharawi Arab Democratic Republic, is decolonised, none of us are truly free”. Statement by Hon. Netumbo Nandi-Ndaitwah, Deputy Prime Minister and Minister of International Relations and Cooperation and Chair of the SADC Council of Ministers, on the occasion of the SADC Solidarity Conference with Western Sahara, Pretoria, South Africa, 25 March 2019. Let me express our deepest thanks and appreciation to our host Hon Lindiwe Sisulu, the Minister of International Relations and Cooperation of South Africa for the warm welcome extended to all of us and for having availed the magnificent facility for us to hold this Conference. Welcome Remarks by the Minister of International Relations and Cooperation, Lindiwe Sisulu, on the occasion of the SADC Solidarity Conference with Saharawi Arab Democratic Republic, Pretoria, 25 March 2019. It is a great pleasure for me to welcome you to the Republic of South Africa on this unprecedented occasion where our progressive region – SADC, convenes a Solidarity Conference with the Saharawi people. South Africa and Namibia will co-host the SADC Solidarity Conference with Western Sahara, on 25-26 March 2019 in Pretoria. This comes after the 37th Summit of the SADC Heads of State and Government resolved to convene the Solidarity Conference with Western Sahara. Media will be expected to present themselves in person at the Denis Adami Hall (1171 Wren St, Queenswood) in Pretoria for live accreditation. The accreditation centre will be operational on 22 – 26 March 2019 from 08h00 to 17h00. The Minister of International Relations and Cooperation, Hon Lindiwe Sisulu, will tomorrow, 20 March 2019, deliver a keynote address to Western Cape students on: “the role of the student movement in strengthening international relations and solidarity”. SADC to convene a Solidarity Conference with the Saharawi Arab Democratic Republic (SADR)/Western Sahara. Gaborone, Botswana – The Southern African Development Community (SADC) will convene a Solidarity Conference with the Saharawi Arab Democratic Republic (SADR) from 25 to 26 March 2019, which will be hosted by the Republic of South Africa in Pretoria. Minister Sisulu thanks South Africans for responding to the call for humanitarian assistance. 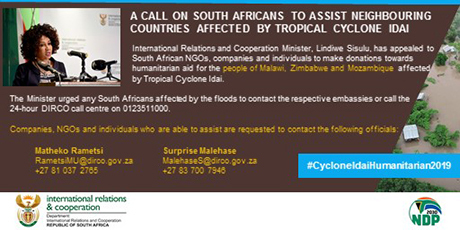 The Minister of International Relations and Cooperation, Lindiwe Sisulu, has expressed her sincere gratitude to all the South African companies, NGOs and individuals who have responded, and are still responding, to the call for humanitarian assistance for victims affected by Cyclone Idai in Malawi, Zimbabwe and Mozambique. United Nations Human Rights Council adopts Resolution to support Caster Semenya, Geneva, UNHRC, 21 March 2019. The United Nations Human Rights Council (UNHRC) today adopted a resolution tabled by South Africa to defend Caster Semenya’s rights to participate in sport. United Nations Human Rights Council adopts Resolution to support Caster Semenya titled “Elimination of Discrimination against Women and Girls in Sport”. Today, 21 March 2019 the United Nations Human Rights Council meeting in its 40th Session in Geneva adopted a resolution by consensus and without a vote on eliminating discrimination against women and girls in sport, giving significant global weight from a human rights perspective to Caster Semenya’s case. Statement delivered by Deputy Minister of International Relations and Cooperation, H.E. Mr Luwellyn Landers, at the Second High Level Meeting on South-South Cooperation, on 20 March 2019. It is an honour and privilege for me to attend and participate in the deliberations of this important conference. 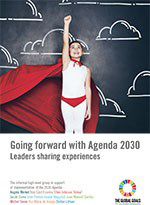 Deputy Minister Landers to participate at the Second High-Level United Nations Conference on South-South Cooperation (BAPA+40) in the Republic of Argentina, Buenos Aires, 20 - 22 March 2019. The Deputy Minister of International Relations and Cooperation Luwellyn Landers will lead the South African delegation to the upcoming Second United Nations High-Level Conference on South-South Cooperation, which will be taking place in Buenos Aires, Argentina from 20-22 March 2019. Postponement of the Monthly Media Briefing scheduled for today. Due to urgent events, The Ministry regrets that the Media Briefing scheduled for 10h00 has to be postponed to a later time, we will make further announcement later. The Minister of International Relations and Cooperation, Lindiwe Sisulu, will tomorrow, 19 March 2019, hold her Monthly Media Briefing with members of the press. President Ramaphosa sends a message of condolences to the Republic of Indonesia following flash floods. On behalf of the Government and people of the Republic of South Africa, His Excellency President Cyril Ramaphosa has sent a message of condolences to the Government and people of the Republic of Indonesia following the flash floods in the Indonesia's eastern province of Papua, where 73 people lost their lives and more than 4000 displaced. Statement by Ambassador Jerry Matjila, Permanent Representative of South Africa to the United Nations, during the UN Security Council Meeting on the United Nations Stabilisation Mission in the Democratic Republic of Congo, New York, 18 March 2019. At the outset let me join others in thanking the Special Representative and Head of the UN Stabilization Mission in the Democratic Republic of Congo (MONUSCO), Ms Leila Zerrougui, as well as Ms Anny Tenga Modi of the civil society organization AFIA MAMA. 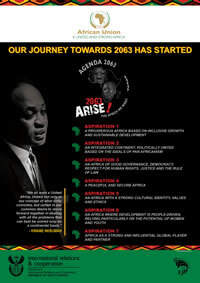 Dr Motsepe to address Africa–Asia Partnerships in Healthcare Conference. Dr Tshepo Motsepe, Spouse of President Cyril Ramaphosa, will address the Africa-Asia Partnerships in Health and Healthcare Delivery for Women & Youth Conference tomorrow, Tuesday, 19 March 2019.